M.S.Ramaiah Institute of Management (MSRIM) Bangalore was founded in 1995 and the Institute is well approved and recognized by AICTE, New Delhi.The institute prepares the managers with integrity, information and leadership skills giving contribution to the expansion of a globally competent companies in India and also strive to be amongst the most effective B-Schools in India. MSRIM Library includes a large assortment of literature predominantly associated with management and its allied subjects to fulfill the knowledge desires of its users. The libraries activities are automatically managened by library integrate software package. Library homes all necessary reference sources like Encyclopedias, Dictionaries, handbooks and Manuals, Statistics, Yearbooks. It also ranges from general to subject specific sources. All the reference sources are housed within the reference Section. Users also can contact library staff on duty for any help. Library additionally has access to on-line reference sources which can be accessed from the library web site. With such high class facilty students look for direct admission, fee structure along with management quota and nri quota options here. 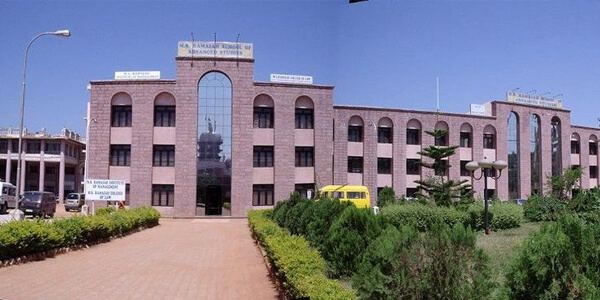 M.S.Ramaiah Institute of Management (MSRIM) Bangalore has been continuously ranked among prime seventy B-Schools in India and top ten B-Schools in Bangalore in Surveys by leading publications like Outlook, Business standard, Business World, Careers 360, Master in Business Administration Universe etc. The Careers 360 conducted a survey and revealed its results in its Feb 2014 issue where the institute is in 29th position within the country and third in Bangalore. The Business India Magazine in its issue of Dec 2013 has rated the Institute as “A++” Grade establishment. The Post Graduate Diploma in Management could be a 2 year full time course, approved by AICTE, New Delhi. The programme is split into four semesters and involves rigorous coaching to equip future managers with abstract framework and specific skills required to achieve success within the company world. The programme offers specialization within the areas of marketing, Finance, Human Resources Management, Operations Management, Banking and Insurance with extra inputs through special programmes like Guest Lectures, Seminars, Workshops and Conventions.